As a commercial real estate broker, and when taking on a commercial property to sell, it is essential that you provide the client with a well-considered and defined sales process map. That map is a visual marketing tool to explain the overall process ahead for the client; it should clearly help them relate to the effort that you will put into the marketing and negotiation process and show them how you will encourage offers from the correct target audience. Define the timeline – with every listing today there should be three stages to the promotion and that is where the timeline comes in. There are three stages to the sales process; firstly there will be the opening and preparation stage to the listing and its release to the local property market. At that time you will be gauging the level of initial enquiry from the advertising process to understand its strength in attracting enquiry. It is not unusual to undertake a few adjustments to the marketing campaign in the opening stage of promotion to ‘tweak’ the levels of enquiry. Advertising layout, promotional words, and keywords can be changed at this early stage to attract better levels of enquiry. Understand the different levels of promotion that apply across the Internet, newspaper marketing, local area precinct, and database records. Use the best marketing methods to capture enquiry. Cover every stage of selling – Every level of promotion and selling should feature in your timeline. As you work the timeline mentioned earlier, and from approximately two weeks into promotion, you should be moving into stage two of the marketing where most of the enquiries should be attracted and inspections should be happening. If a property is well priced and correctly marketed, it should get to the negotiation stages of sale during stage two of the marketing. Stale Enquiry or Little Enquiry – Stage three of the marketing process will only occur if the property is still unsold after a period of six to eight weeks of effective promotion. At that time you will know that something is definitely wrong in the promotion, the pricing, the current market conditions, or the target audience. In stage three you should make final adjustments with promotions to ensure that you have all segments of the market covered correctly. It is quite likely that the property should be withdrawn from sale after 16 weeks of promotion, assuming that a sale conversion has not occurred. There is no point in marketing something continually if you have saturated the right target market. By withdrawing the listing you can then at a later time put the property back on the market in a different way. There are always plenty of buyers looking for quality listings, but timing and market conditions can have an impact on your levels of enquiry; if you are not capturing sufficient interest then something is wrong and promotional adjustments should be made. Establish the best target audience – to marketing any commercial property for sale, the target audience should be well defined by type and location for the client. The marketing campaign should be structured to tap into that audience effectively and directly. Understand how that group of property buyers may be impacted by current economic conditions, the property market in your town or city, and the levels of available finance. Your campaign needs to take into account the pressures that can apply to the target audience. 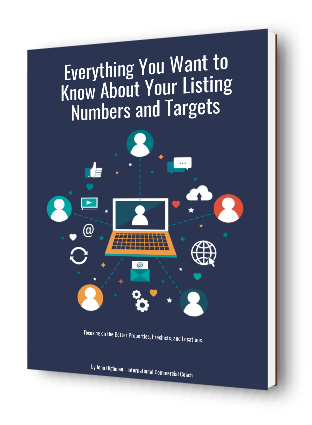 Promote the listing in ways that attract results. 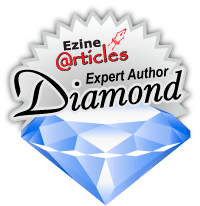 Explain the promotional process – to promote any commercial listing affective them directly, it is not just a matter of placing a few generic adverts into the newspapers and on to the online portals. Everything needs to integrate well and attract a reasonable level of enquiry. Understand how you will use specific advertising copy, key words, promotional photographs, signboards, and brochures to encourage enquiry. Many top agents today will get the advertising copy refined and improved by professional copy writers. Be prepared to report the campaign progress as you proceed – in some markets and at different times of year, you will find the level of enquiry restricted, selective, or variable. When you track the amount of inbound property enquiry, you can see where adjustments should occur. It is quite normal to report to the client two or three times per week to explain to them how the advertising campaign is going and where any adjustments may be required. If the enquiry is coming in, then you know that your advertising campaign is effective and well implemented. On the other hand a low level of enquiry can indicate that you have issues and problems to address before you go too much further into the advertising spend and the campaign duration. Provide plenty of examples and testimonials – many clients will take comfort in understanding that they are not alone when it comes to property challenges and difficulties. You can and should provide plenty of examples when it comes to recent property activity in the local area. You can also provide relevant testimonials to help the client see how you have helped other successful transactions occur. So, all of these things can be merged into a sales process map or a chart that you can present to the client as part of the property listing process. The visual approach helps the client see where you will start in the property promotion chain of events, and how you will move through the various challenges that could occur. Show the client that you are prepared to work hard and achieve a positive outcome.